You get the picture. There’s a lot of influence, driven by a love of music and a passion to speak to and from the heart. Rob grew up on the south coast of England, learning to play guitar after a road accident had him spend six months in hospital. With some mates he formed a string of bands and had his first spell in a studio when as the “Freak Brothers” they recorded a version of Welon Jennin’s “16 Tonnes” and performed at Worthing’s Pavilion Theatre. After a messy adolescence with run-ins with the police and a spell living on the streets he found himself in the midlands and with a lot of help and patience from a Christian community there, sorted out a place to live and a job. Finding himself involved with the music scene in the church, Rob began to hone his songwriting and performance skills, playing at events in iconic venues such as Manchester’s Free Trade Hall, Sheffield City Hall, Wembley Conference Centre and many others. In 1999 Rob formed Goldsmiths, who played dates across the Midlands. They recorded an album, Iknow Youknow, at Apple Tree Studios with Phil Goss (from the band “As If”). The album had some great reviews and the band played their first live radio sessions on Cross Rhythms Radio. He’d been working as an HR Manager for a pharmaceutical company, now he would take on a part time role at a drop-in centre and use the bulk of his time to concentrate on his music. 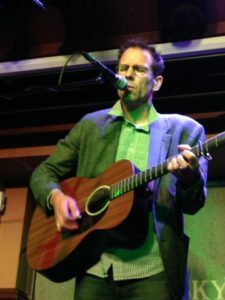 He wrote and recorded his first solo album, “Dancing With Seagulls” which immediately earned him recognition as a quality songwriter. The BBC’s Paul Gambaccini commented “These are some of the strongest songs I’ve heard.” Though it was never play-listed, Radio 2 played “Streets Of This Town” repeatedly and BBC1 filmed a special video of Rob performing “Treasure”. Then in 2004 a huge Tsunami hit South East Asia. Rob decided to use another song, “Stand Together” to raise money for the victims. With the help of J10 Studios in Coventry Rob invited musicians from across the region to collaborate on the recording. “It was our own ‘Band Aid’. An incredible time.” The song reached number 14 in the UK Indie charts despite onthy being sold in one shop. Altogether ‘Stand Together’ raise £13.500. Most of that money went to the DEC. Then Rob Heard about a local Charity working with children across the world called Global Care. 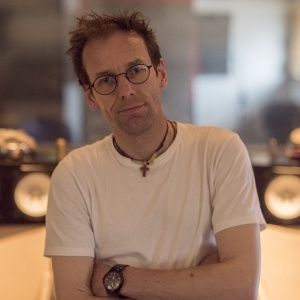 Rob’s relationship with Global Care has taken him to Bangladesh, Ethiopia and Lebanon, using his music to raise awareness of the work being done with vulnerable children in some of the poorest places in the world. Rob’s theme has been reconciliation and forgiveness and his honesty and openness creates a connection with his listeners. His songs aren’t all about world issues, in fact much of what he sings about is our own frailty, doubts and fears in a messed up world. After recording two mini-albums, ‘Dark Clouds Fighting’ and ‘The New York Sessions’, Rob met Graeme Duffin, guitarist with Wet Wet Wet. Together with ‘Wets’ engineer Sandi Jones, Rob visited the Foundry Music Lab in Scotland to record ‘Best Thing That Happened’. This took Rob’s sound to a new level and after a gap of 5 years the new album showcased Robs song-writing skills in a powerful way. With Guest vocals from Yvonne Lyon and Gareth Davies-Jones and guitar work from Graeme Duffin, the album gained rave reviews from the music press, a live session on BBC Radio 2 and more TV appearances. As well as being a prolific writer, Rob tours extensively. He has played across the UK as well as shows in the USA, Brazil, Canada, Hong Kong and Switzerland.